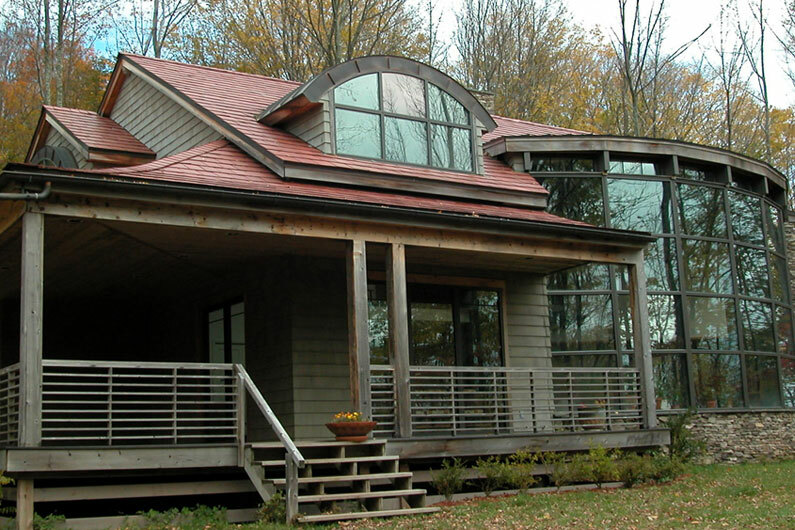 Nu-lok offers an alternative to traditional slate roof installation that still creates a genuine Vermont slate roof but uses up to 40% less slate, reducing material cost and roof weight. Nu-lok utilizes premium components that are designed to last, taking full advantage of slate’s longevity. A Nu-lok slate roof installation is more energy conserving, as it is installed on a grid system that naturally ventilates the roof. 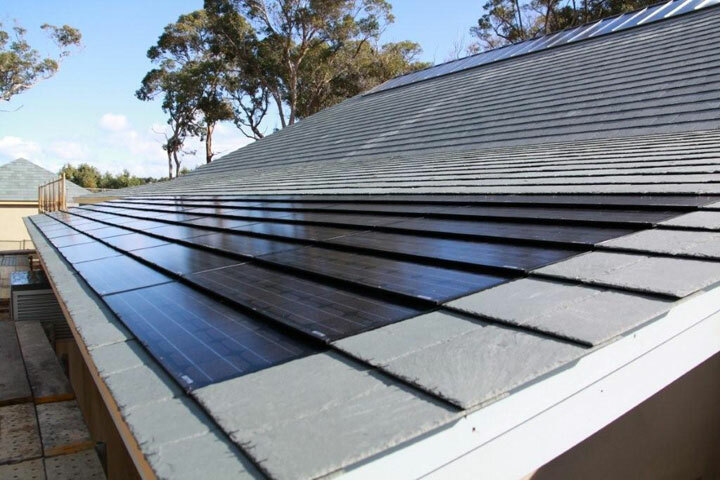 The slate density helps to stabilize interior temperature, and available integrated solar panels that set flush with the slates, create a truly 21st century roof solution while retaining the traditional benefits of slate. The Nu-lok™ Roofing System has been installed on thousands of roofs worldwide since its introduction in the 1980s. The Nu-lok™ Roofing System is ready to include SolarRoof™ for photovoltaic solar panel / slate roof integration. Nu-lok SolarRoof™ photovoltaic panels are designed to fit directly within the Nu-lok slate installation system, creating an integrated roof that generates power, while still offering a truly aesthetically pleasing solar roof solution. In addition to the energy producing benefits of adding solar panels to a slate roof, the energy conserving benefits of a Nu-lok slate roof are significant. 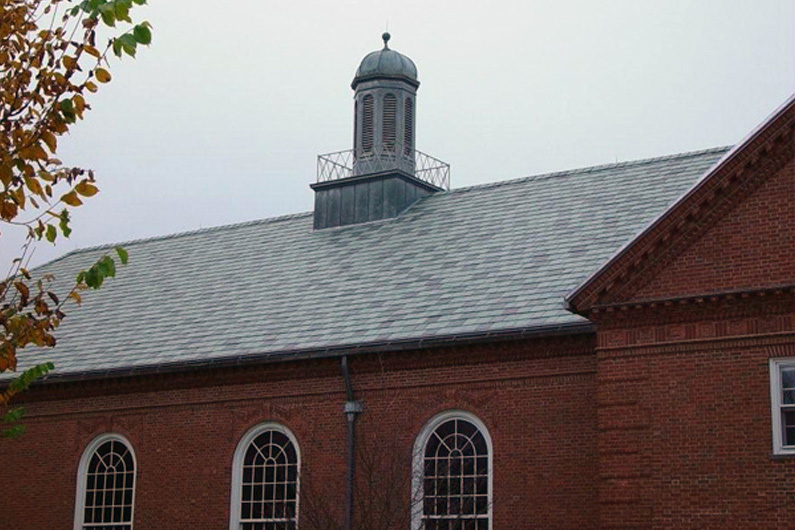 No other roof has the density and reflective properties of Vermont slate. And the Nu-lok batten support structure self ventilates (making it ideal for solar panel application), creating an insulating barrier of air between the slate and the roof deck increasing energy savings still further. All new and existing Nu-lok/Greenstone roofs are solar-upgradable. The Nu-lok SolarRoof panel system is modular so it can be installed or expanded upon at anytime. To learn more about installing a Greenstone genuine slate roof with the Nu-lok installation system and Nu-Lok SolarRoof™ technology please contact us or call us toll free at 800.619.4333. 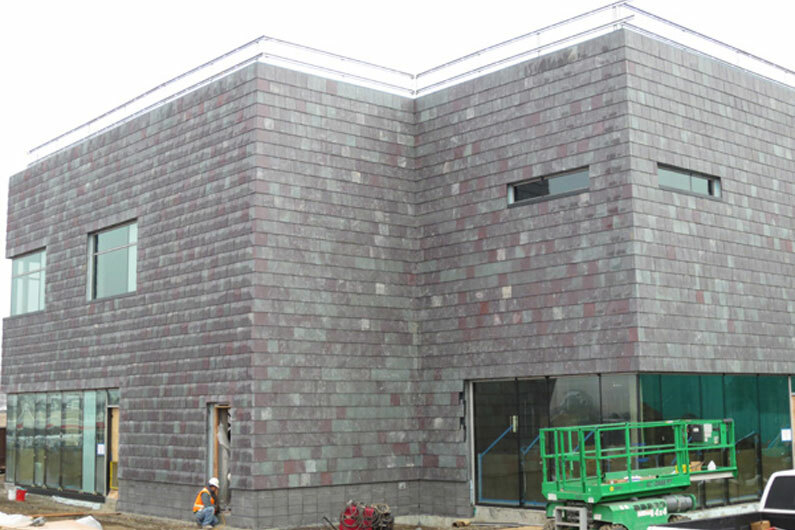 We will gladly provide further information on this exciting development in slate roofing. Stone cladding has many benefits—durability, style and longevity to start. The Nu-lok / Greenstone slate cladding system offers some new benefits, unavailable before in stone cladding installation. Learn more about Nu-lok stone cladding system. 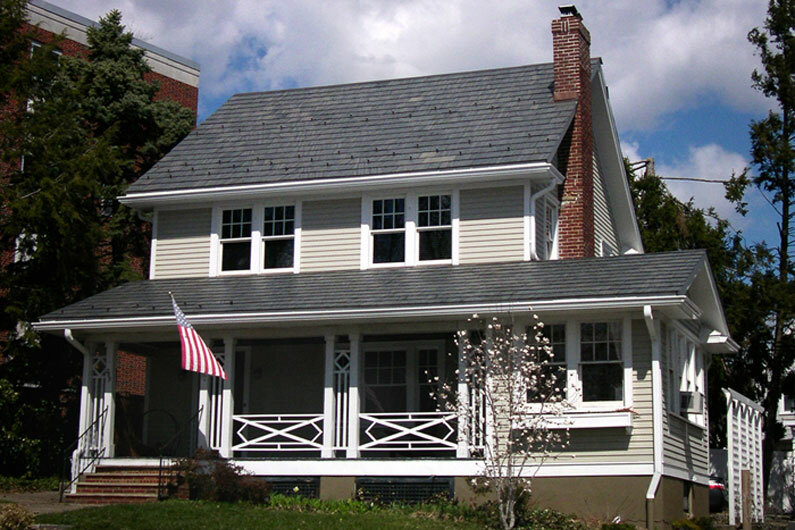 Nu-lok™ batten/grid system creates insulating space between deck and slate. 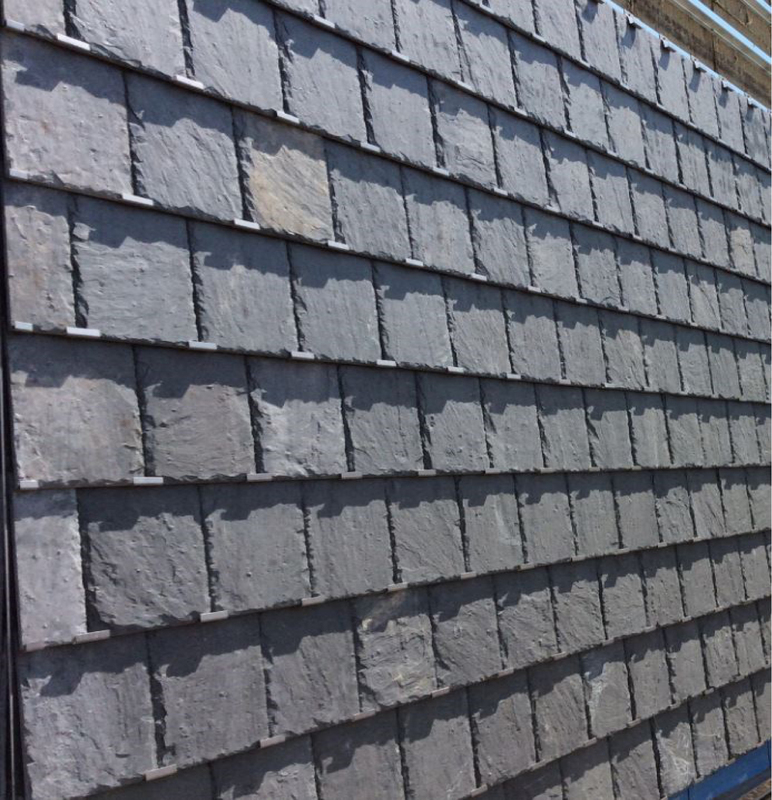 Uniform support for the slates makes Nu-lok the world’s first walk-able slate roof. Can be installed by virtually any professional roofing contractor. All new and existing Nu-lok roofs are solar-upgradable. The Nu-lok SolarRoof panel system is modular so it can be installed or expanded upon at anytime. We are ready to assist with selecting and specifying slate, advising on reduced weight slate installation, or helping a property owner find a contractor.